In an interview with National Defense Magazine, Center for the Study of the Drone co-director Dan Gettinger discusses the reasons behind U.S. Special Operations Command’s growing spending on a variety of small unmanned aircraft. 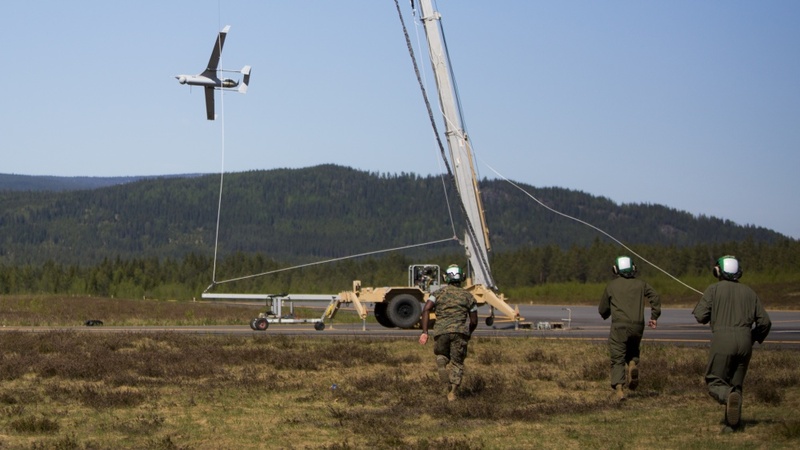 According to Gizmodo, multiple employees at Google have resigned over the company’s involvement in Project Maven, a U.S. military program that applies artificial intelligence to aerial footage from drones. At the Los Angeles Times, Thomas Black writes that the price of commercial drone services has plummeted due to intense competition and consolidation in the industry. A new report by Drone Wars UK looks at the growing number of countries that are developing or using armed drones. At the Drive, Joseph Trevithick writes that the U.S. Marine Corps’ RQ-21 Blackjack drones are flying more than expected in Iraq and Syria. Also at the Drive, Tyler Rogoway looks at the ways that Israel used small drones during the Gaza protests. In a podcast at the Center for a New American Security, Paul Scharre and Michael Horowitz discuss the Trump administration’s new drone export policy. Fox4News reports that city officials in Dallas are evaluating whether drones might be a better buy for the police department than a new manned helicopter.